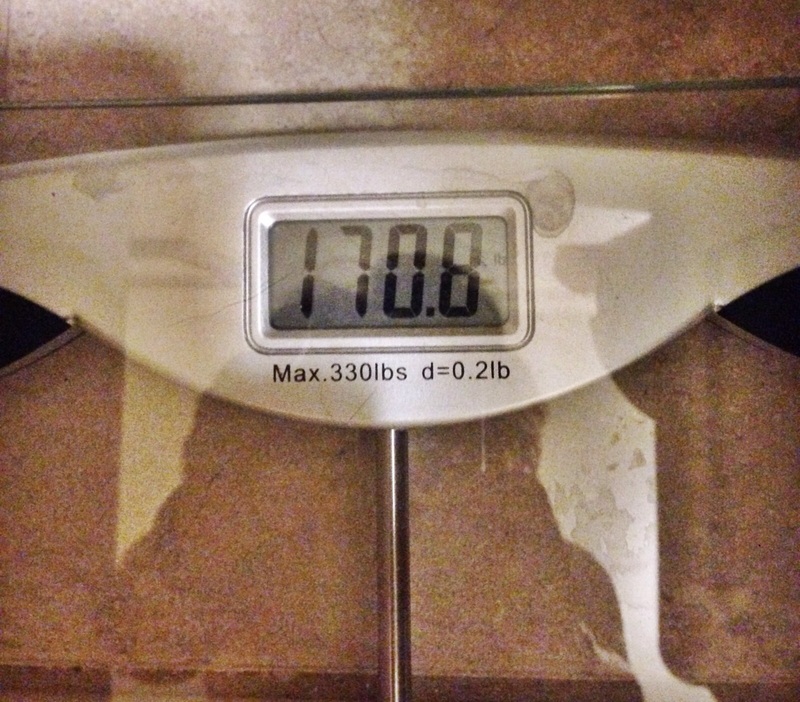 Every weight loss journey has a beginning and mine begins at 171.8 pounds. Yikes. How did I get here? As a teenager, I never could gain weight. I would eat anything and everything I wanted and never gain a pound. My friends hated it and would tell me that it would catch up to me one day. Boy were they right! With a starting weight s et, I have a goal in mind. 30 pounds gone. I believe 141 is a realistic weight for me and I can achieve it. Exercise and meal planning are going to be my methods. I will also be tracking both using myfitnesspal.com. I love this app because it has so many restaurant foods already in it and it is really easy to import recipes from online sources. I use it on my phone and on the web so there is no excuse not to log my food. If you are new to this, I recommend just logging your food for a few weeks and see how much you are eating. You may be surprised at how many calories you are eating! I sure was. One week later… and I’m off to a good start. Meal planning is not best done by walking around Kroger and seeing what’s good. Yet, that’s what I find myself doing more often than not. Even worse is giving up and picking up a pizza or worse, fried chicken. And my family loves some fried chicken! 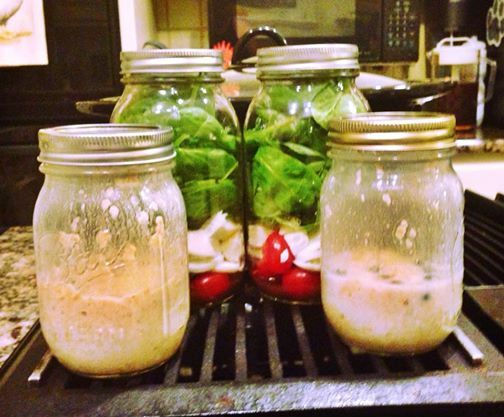 Meal planning and food preparation have become my new best friend. No longer will I stand in front of the fridge and wonder what I can eat. 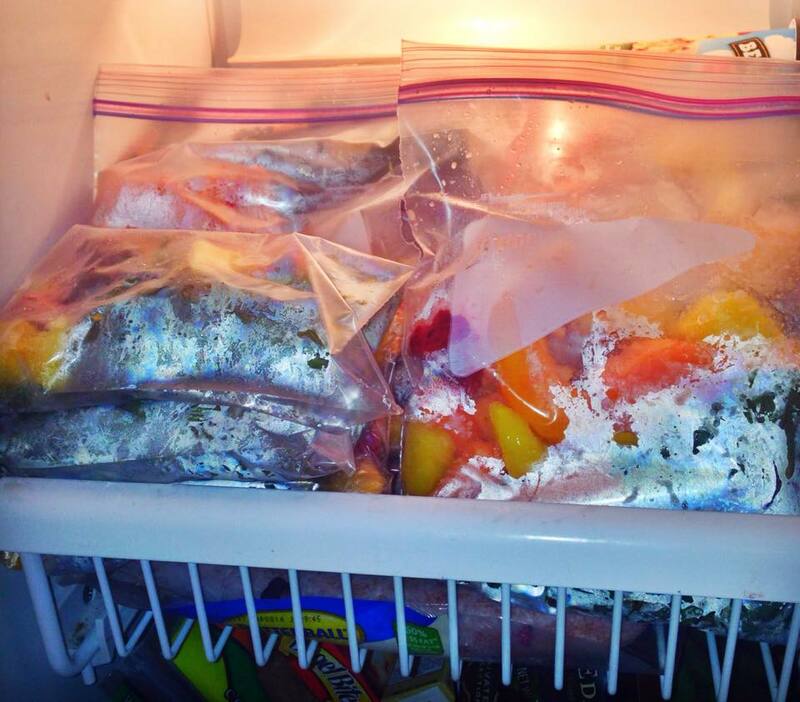 I have prepped snacks for the week as well as green smoothies or refrigerator oatmeal for breakfast. Green Smoothies – just add Good Belly juice or Almond Milk, yum. 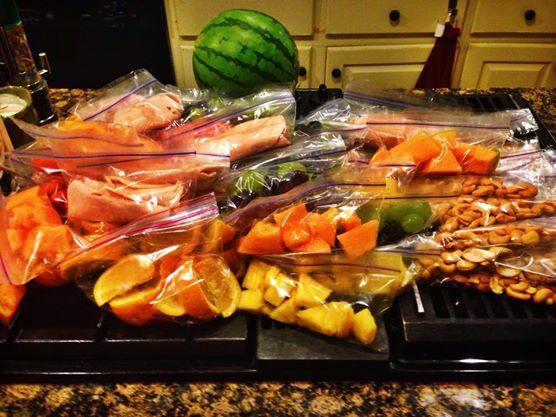 Ready to go bags full of one serving each of fruits, veggies and nuts. No excuses. Tomorrow, I will post my weekly weigh-in which will serve as my starting point (eek). I have to be honest, I’m not thrilled with where my weight stands and even less thrilled to be sharing it with you but I am counting on the accountability of this blog to inspire me to lose. So, my last post was in response to the Boston Marathon bombing. Wow. I really am not much of a runner but I did relate to what happened that day. In the time since then, I managed to injure my knees while riding a SeaDoo (long story), go through 3 months of physical therapy for that and start working with a trainer. I feel stronger than ever but weigh more than I ever have. Some swear by low fat diets. But then I heard there are new studies that say fat doesn’t make you fat. It’s sugar. So I should choose sweeteners like Splenda? Oh no, not that. It causes headaches and will actually stimulate your appetite and weight gain! Okay then. How about a Paleo diet? Well, US News ranked it last in all the diets based on being effective at weight loss, safe, reasonably easy to follow, nutritious, and protective against diabetes and heart disease. So, no. Low carb diets have just as bad a reputation as Paleo. I’ve done Weight Watchers, don’t want to try Jenny Craig or Nutrisystem because I fear the processed foods. Honestly? I have no idea. But I am working out consistently and limiting my calorie intake to a normal level while eating fresh vegetables and fruits along with lean meats.